An old man wanders through the outskirts of his town. Pains creep up and down his body as he begins to reminisce about the days of his youth and the achievements long past. Memories flood his mind of friends, family and associates long gone. Just as his past seems to slip away, he stumbles across a physical reminder of this soon to be forgotten time… a stone. This stone, unlike the dozens surrounding it, is no ordinary stone. Larger and heavier than the rest, this stone was part of the old man’s greatest feat. At a wedding many decades previously, a challenge had been issued to the men of the town. Who could lift the village stone to chest height? Dozens tried but the old man alone succeeded in raising it to chest height and even kissing it three times for good measure. Because of this, he was lauded for his strength and prowess. He was talked about with respect for years to come and upon his passing, he was remembered as a man of strength. Far from an isolated figure, this fictitious man, a creation of Liam O’Flaherty in the 1930s, was representative of dozens before him. He symbolised a strength culture in Ireland far removed from the gymnasium, village fair or the vaudeville stage. This strength culture was found predominantly in the rural parts of Western Ireland, amongst small groups of men seeking to prove their masculinity. 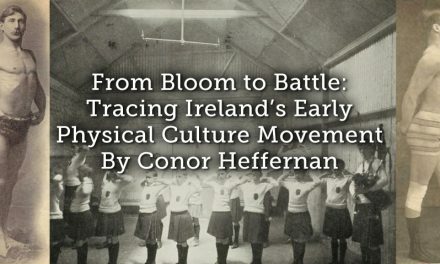 Though these men left few records, an eclectic combination of folklore, place names and literature reveals the breadth of strength cultures in nineteenth-century Ireland. Seeking to do justice to this phenomenon, the present article explores the practice of lifting heavy stones during this time, in a bid to uncover the pursuit’s significance. 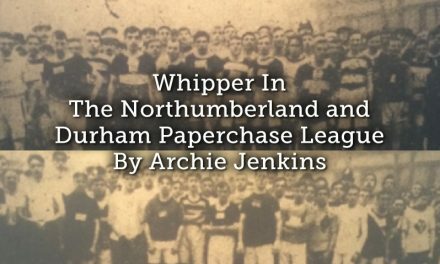 Though existing on the margins of Irish sporting history, this informal but still competitive feat was laden with social importance and intrigue. Unsurprisingly for an island nation, stones have long held a cultural importance within Irish folklore and mythology. Indeed two of the better-known stories for the current Irish student are those of Fionn McCool and Oisín. 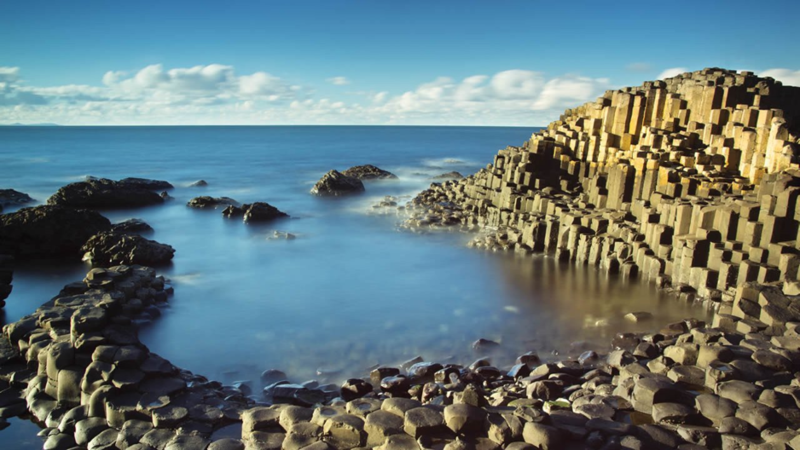 The former was credited with creating Antrim’s Giant’s Causeway by hurling large portions of the coastline into the sea. The latter lost his immortality attempting to lift a heavy stone from the road upon his return from a mythical land. Though not exactly historically verifiable, the stories nevertheless tease at a cultural importance surrounding the stone. Aside from mythology, stone lifting has influenced the naming of regions itself. Thanks to the work of Peter Martin, it is now clear that Cloghnart in Co. Monaghan was named after the practice of stone lifting. Cloghnart or Cloch-neirt roughly translates as ‘The Stone of Strength’, a hint at the pastime’s enduring popularity there. For issues of convenience, at least historically, it is easiest for the historian to focus primarily on the late nineteenth and early twentieth-century in Ireland when discussing this phenomenon, owing to the scant but profitable sources in existence. While the world of Irish literature has proved one interesting avenue, the Irish Folklore Collection (henceforth IFC) is undoubtedly the historian’s ally in this quest. Collected by Irish schoolchildren during the 1930s, the IFC represented an effort on the part of the Irish government to preserve the memory and stories of regional towns around Southern Ireland. Digitized now through Duchas.ie, the collection covers everything from folk remedies to parochial disputes. Included in this of course, are stories of strong men and their feats. Often under the heading of ‘Local Heroes’ or ‘Strong Men’, the children recount stories from their parents, grandparents and neighbours from decades gone past. Safe in the knowledge that my own grandfather fabricated many of his own entries as a participant of this project, it is worth noting the need for historical cynicism. Embellished or fact, the stories nevertheless highlight the intrigue befitting the subject. A very strong man lived in Castledermot thirty years ago. He is said to have won 200 prizes for lifting weights. One very hard winter came. He was speaking to another man on the road and the man told him that he would being a strong man would live until the end of that winter. He wondered at all the people dying around him. In the distance he saw some little men trying to lift a big stone. After a while all the little men died except one of them The stone fell on him and crushed him to death. The strong man went over and threw the stone over his head. Surveying this brief snapshot from the Folklore Collection highlights some rather interesting things. First, it’s clear that stone lifting in some form or another was indeed a competitive event for men of the town. Indeed a common theme through the Folklore Collection is the sheer numbers of men said to have tested their mettle against the local stone. Accompanying this is the implicit mystique given both to the stones themselves and also the men capable of lifting them. Many stones were said to have come from the time of giants and fairies within Ireland. The men capable of lifting them were presented as Herculean. We see then an idealisation of the stones’ past and also a valorisation of the ‘heroes’ capable of lifting them. It was a great day in each young man’s life when he raised the stone from the ground and ‘gave it wind’ as they said. And if he raised it to his knees, he was a champion, the equal of the best. This practice, far removed from the playing pitch or the comfy confines of the gymnasium, carried with it a social and gender importance. In the first instance, the act of lifting the stone was a public ceremony. Men and women spoke of it in the town, and as evidenced by the IFC, spoke of it many decades after. Lifting the stone was thus an important way of earning or maintaining the respect of one’s neighbours. Furthermore, it was a way of proving one’s self as a man. Echoing O’Flaherty’s belief that it was a great day in a young man’s life when he raised the local stone are Peig Sayer’s reminises, found in her autobiography Peig, of her childhood in the West of Ireland in the 1880s. Focused on her brother Seán, Peig claimed that there ‘was no limit to his strength’ and to illustrate this recounted his achievement in not only lifting the local stone, but also in raising another stone on top of it during a trial of strength at the town crossroads. For his efforts, Seán earned the lifetime nickname of the ‘Pounder’, a name we’re told, which carried significant weight amongst the locals and helped single Seán out as an extraordinary man. 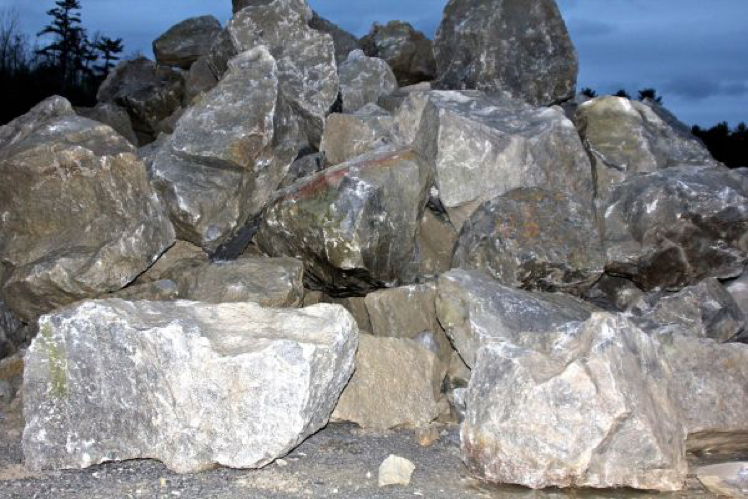 In much the same way that kicking points or scoring goals helped enhance one’s status amongst his cohorts, stone lifting was one such means of proving one’s masculinity within Ireland during this period. What marks stone lifting as a particularly interesting case study is that it was not formalised in the manner of wider codified sports. At a time when Gaelic games, soccer, rugby and to a lesser extent cricket had become increasingly organised, stone lifting remained a basic pursuit. Find the biggest, heaviest stone. Find the strongest men, and see who could lift it. Short, simple, but by no means sweet. Dispute the simplicity, but not ease, of lifting the stone, the pursuit was imbued with societal and gender importance for locals within the village. 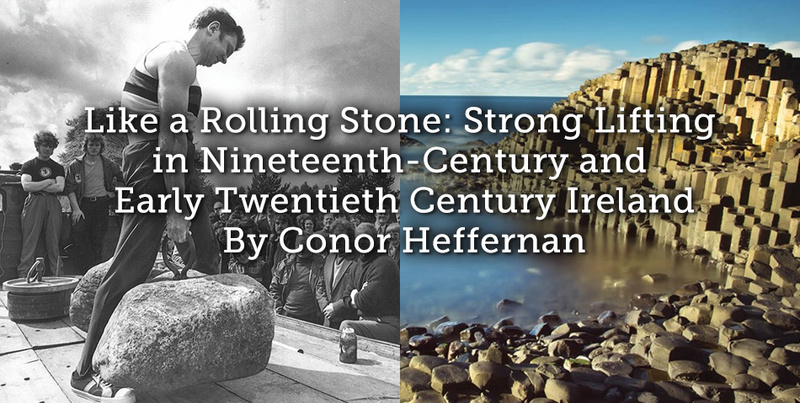 As a final point, it is worth noting examining the cases of Irish and Scottish stone lifting as a means of highlighting the cross-cultural similarities between these regions. While stone lifting exists in several regions such as Scandinavia, the Basque Region, and parts of Eastern Asia, few regions display commonalities past the necessity for raw strength. In Ireland and Scotland however, similarities can be found. In both cases, Irish and Scottish lifters seem to raise the stone from the ground to chest height, as opposed for example to the Basque tradition of raising them to shoulder height. Furthermore in both regions, many individual villages had their own sanctified stones, often forged from the regions mythological past, which served as a litmus test for the men of the town. Such occasions were often to be found amongst the rural parts of the country, especially in heavily agrarian populations that were tinged with fishing as well. Furthermore, one can find similarities across the nomenclature. In Scotland the traditional phrase for a successful lift is the rather poetic statement of ‘giving wind beneath the stone’, ‘putting wind beneath the stone’ or some deviation of this. This highly specified phrase from Scotland nevertheless emerges in the writings of Liam O’Flaherty and even in the folklore collection, hinting it seems at a form of trans-Celtic strength community. This trans-Celtic community was later embodied by Jack Shanks, a Belfast born policeman who travelled to Scotland on several occasions in the 1970s to successfully lift the famed Scottish ‘Dinnie Stones’ weighing several hundred kilos. 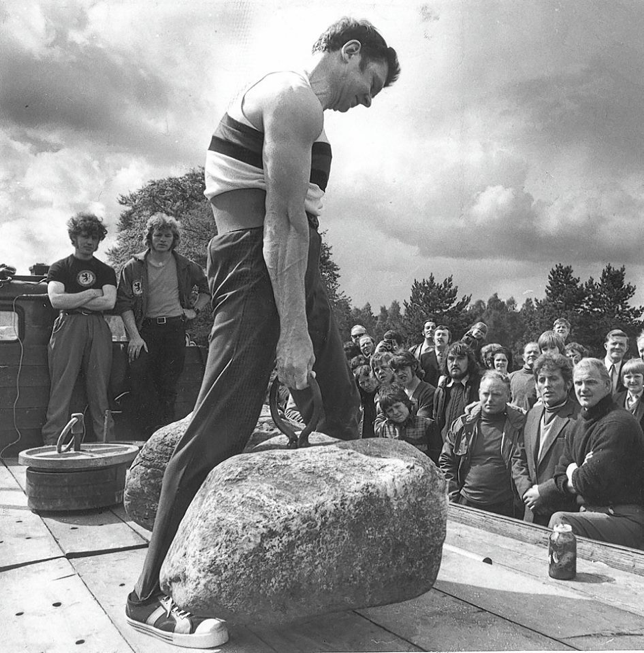 Laden with mythology and masculinity, the highly specified practice of Irish stone lifting proves itself to be at once highly intriguing and highly frustrating for the sporting historian. 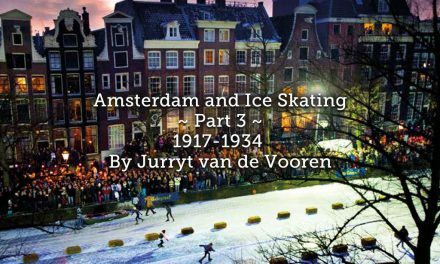 Undertaken away newspaper coverage or the vaudeville stage, the practice’s history is at times ephemeral owing to the lack of available sources. The absence of great Irish stonemen, known to the wider public, forces the historian down a rabbit hole of place names, ecletic autobiographies and stories told by schoolchildren. It is not, in any historical sense, ideal. In spite of such limitations, the existing sources, scant though they are, are nevertheless worthwhile. They tell of a pastime removed from other sporting practices. A pastime whereby men could prove themselves to others and become local heroes or even ‘Pounders’. This pastime spoke of an atavistic masculinity based on the ability to lift incredibly heavy things that no one else could. In these simple and raw tests, men battled with nature for the respect of their fellow townsmen. 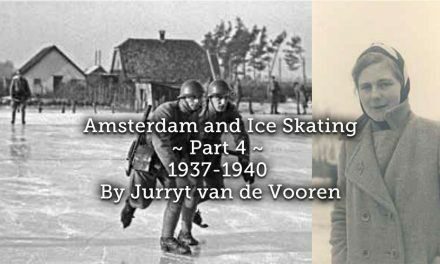 Though not as glamourous as a goal at Croke Park, these events were nevertheless part of the Irish sporting world. 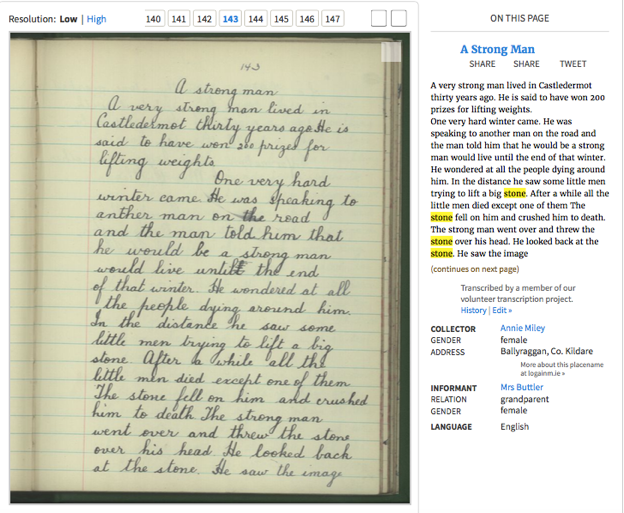 For anyone interested in learning more, please visit the Irish Folklore Collection, available here. Furthermore, Rogue Fitness has produced two fantastic documentaries about stone lifting in the Basque Region and in Scotland that are well worth the watch.